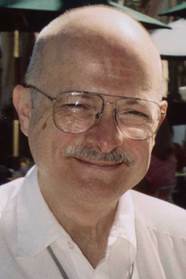 Vernor Vinge has won five Hugo Awards, including one for each of his last three novels, A Fire Upon the Deep (1992), A Deepness in the Sky (1999), and Rainbow’s End (2006). Known for his rigorous hard-science approach to his science fiction, he became an iconic figure among cybernetic scientists with the publication in 1981 of his novella "True Names," which is considered a seminal, visionary work of Internet fiction. His many books also include Marooned in Realtime and The Peace War. Born in Waukesha, Wisconsin and raised in Central Michigan, Vinge is the son of geographers. Fascinated by science and particularly computers from an early age, he has a Ph.D. in computer science, and taught mathematics and computer science at San Diego State University for thirty years. He has gained a great deal of attention both here and abroad for his theory of the coming machine intelligence Singularity. Sought widely as a speaker to both business and scientific groups, he lives in San Diego, California. The novel that garnered Vinge his first "Best Novel" Hugo Finalist nomination, back in print after thirteen years. With a combination of hard-SF concepts, tight plotting, and appealing characters, Vinge tells a now-classic story of the Few triumphing over the Many. The Peace Authority, wielding a new state-of-the-art weapon, takes over the world, and claims to be "maintaining the peace" while really controlling the scattered survivors of the new world. The inventor of their weapon, which was never meant to be a weapon at all, leads a resistance of high-tech "tinkers" who fight to defeat the "Peace." After thousands of years searching, humans stand on the verge of first contact with an alien race in this sci-fi adventure. In this popular and widely praised novel, a rescue mission races against time to save a pair of human children being held captive by a medieval lupine race-and to recover the weapon that will keep the universe from being changed forever.